Most people tend to believe that with age comes depreciation, but the Nissan GT-R, ancient yet great as ever, keeps getting more expensive. You might not have noticed, because Nissan just slightly bumps the price up every year—the numbers sneaking up on you like a bad nightmare you’ve been having for the past decade, which also happens to be the approximate age of the GT-R. 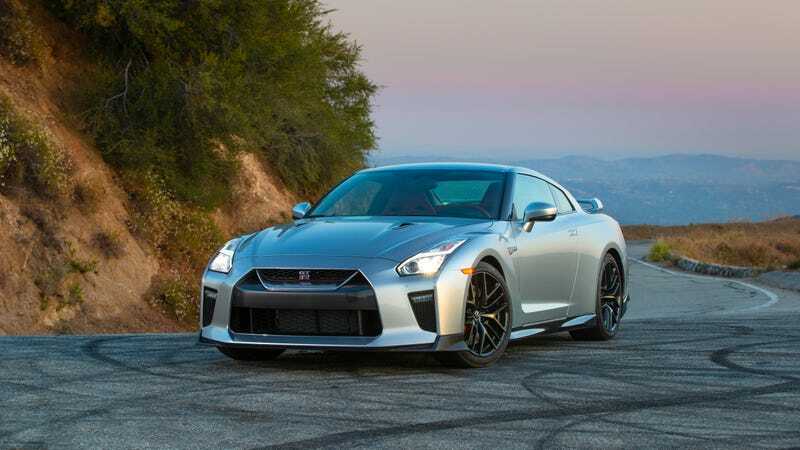 The GT-R is now $50 more expensive than last year in every trim except for the entry one, because adding $50 to $99,990 would take it from the completely reasonable five-digit price range into the completely appalling six-digit realm. What ever will GT-R buyers do amidst these rising prices? It’s not like they’ve had 12 years to buy one already, as prices rose and rose from a modest $69,850 to, well, what they are today. Soon, it’ll be out of their budget completely! The rising prices, though, mean the new base MSRPs for the other three trims are $110,540 for the Premium, $128,540 for the Track Edition and $175,540 for the Nismo. The horsepower is the same, the torque is the same, the trim levels have the same names, and the car still comes with a 3.8-liter V6 and six-speed dual-clutch sequential. Hell, when you click the 2018 Nissan GT-R listing on Nissan’s website through Google, it’s already updated for 2019—likely because they only had to replace a couple of numbers and hit the publish button. But that’s just the Nissan GT-R for you. It gets older every year, it gets slightly more expensive every year, yet it’s still good. And even when a new platform for the GT-R does come around, Nissan’s design boss said he wants it to remain the “world’s fastest brick.” Hopefully said brick won’t be too much more expensive than the current brick, which continues to creep closer to the $200,000 range.